We have heard tons of rumors lately about what is included in Microsoft’s GDR3 Windows Phone update. 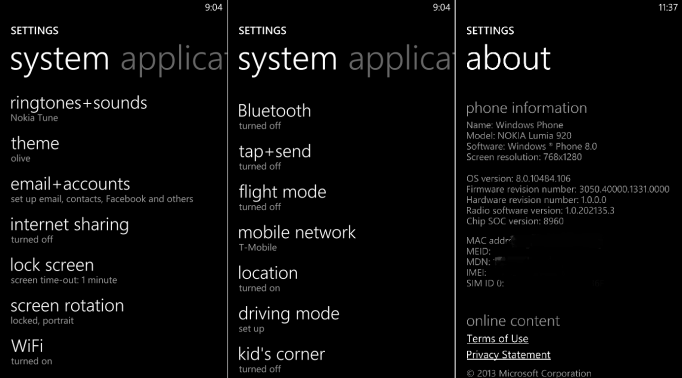 nawzil has put together an interesting unofficial changelog for Windows Phone GDR3. 3 medium or 6 small tiles on a row for phones with screen resolution higher than WXGA (1280 x 768) including Lumia 920, 925, 928, 1020 and of course the Lumia 1520. Driving Mode: Turns of all notifications except texts and phone calls when you’re driving. You can also turn calls and texts off completely or set Driving Mode to text and automatic reply like “Hey, I am driving right now. I’ll reply you later.” Driving Mode can start automatically when your phone connects to a Bluetooth device. Glance Screen: Notifications in glance screen similar to the notifications on the lock screen. Choose from any of the 20 accent colours for night mode instead of just red in Amber. You can choose whether you want to keep the glance screen always on when charging, in Amber it is always on when charging. New apps: Nokia Camera, Storyteller, etc. The list so far includes every detail that has sneaked out so far about the upcoming update plus a few additions.